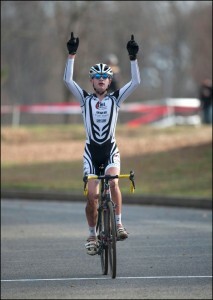 Jake Thompson (HPC) will represent the MABRA region at USAC CX Devo Camp this summer. Photo by Douglas Graham/WLP. We just got the news that Geoff Proctor’s USA Cycling Cyclocross Development Camp III will take place this year from July 21-26 in Helena, Montana. For the past several years, Proctor has held a cyclocross development camp for selected riders deemed to be among the best young cyclocross racers in the U.S. The development camp for selected riders is designed to work on skills, technique, training and set short-term as well as long-range goals. Proctor is a top-level coach and member of the Union Cycliste Internationale Cyclo-Cross Commission. For over a decade he has served as coach for U23 and Junior World Championship teams. In last year’s official announcement Proctor explained that the camp is designed to provide transitional training and mental refreshment in a non-competitive, but focused environment. “We will start the day with early morning conditioning, then move to morning cyclocross skill development, and follow up with afternoon training group rides,” Proctor has said. Along with the cross bike work, invitees will also be doing road rides in and around the Continental Divide. The camp’s cyclocross course is on a scenic circuit in the foothills above Helena. “At this summer camp, we will not be doing formal testing or racing. Other than the friendly contests that come out of our training together, our emphasis will be on the big picture,” Proctor has said about previous camps. What can I do to help Junior girls get similar opportunities for cyclocross development? Just an FYI: Revel Consulting is gone. Brady and O’Brien are with Rad Racing NW. Post is updated. Thanks for the info.